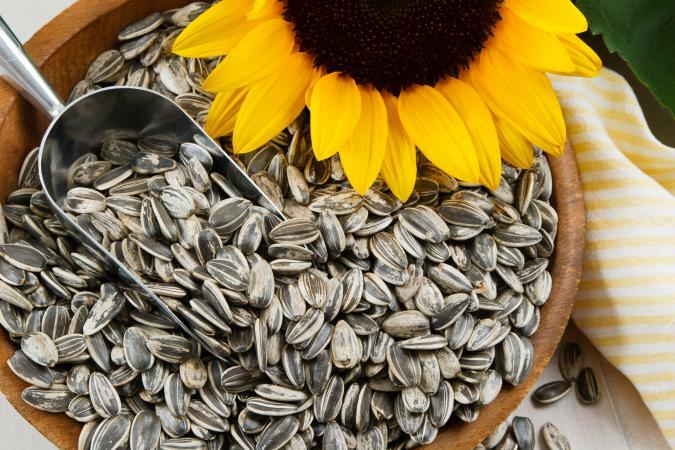 Michigan State University researchers have shown that sunflower seeds are frequently contaminated with a toxin produced by molds and pose an increased health risk in many low-income countries worldwide. In the current issue of PLoS ONE, the team of scientists documented frequent occurrence of aflatoxin — a toxin produced by Aspergillus molds that commonly infect corn, peanuts, pistachios and almonds — in sunflower seeds and their products. This is one of the first studies to associate aflatoxin contamination with sunflower seeds. The study was conducted in Tanzania, but the problem is by no means isolated there. Chronic exposure to aflatoxin causes an estimated 25,000-155,000 deaths worldwide each year, from corn and peanuts alone. Since it is one of the most potent liver carcinogens known, the research to detect and limit its presence in sunflower seeds and their products could help save lives and reduce liver disease in areas where sunflowers and their byproducts are consumed, said Gale Strasburg, MSU food science and human nutrition professor and one of the study’s co-authors. Smallholder farmers in Tanzania grow sunflowers for the seeds, which are sold to local millers who press the seeds for oil and sell it to local consumers for cooking. The remaining cakes are used as animal feed. The seeds become infected by Aspergillus flavus or Aspergillus parasiticus, molds that produce aflatoxin. This contamination has been well studied in other crops, but there is little research published on sunflower seed contamination. Juma Mmongoyo, a former MSU food science doctoral student and lead author of the study, analyzed aflatoxin levels of seeds and cakes in seven regions of Tanzania in 2014 and 2015. Nearly 60 percent of seed samples and 80 percent of cake samples were contaminated with aflatoxins. In addition, 14 percent of seeds and 17 percent of cakes were contaminated above 20 parts per billion, the level considered safe by the U.S. Food and Drug Administration. Some samples had levels of several hundred parts per billion. To help solve that problem, Wu founded the Center for the Health Impacts of Agriculture. The center tackles global issues, such as antibiotics given to livestock and poultry that seep into soil and nearby bodies of water, and the association between malaria incidence and irrigation patterns in sub-Saharan Africa. MSU scientists John Linz, Muraleedharan Nair and Robert Tempelman contributed to this study. Jovin Mugula of the Sokoine University of Agriculture (Tanzania) also contributed to this research.